On Sunday, I processed with the choir. Somehow, I found myself at the head of the procession, and I freaked out a bit. I never lead this part. I always follow. After seven months in the choir, I still didn’t feel confident leading us down the aisle, up to the front of the purple tule covered cross, and to our seats. But on my final Sunday, I led the way. On Sunday, I heard the story of Ezekiel and the dry bones, how the Word of God brought the bones, sinews, and flesh together, and finally breathed life into them. With the choir, I chanted Psalm 30, a plea to God to hear Israel’s cry for mercy, a thanksgiving of God’s grace, a prayer for God to continue to draw near. 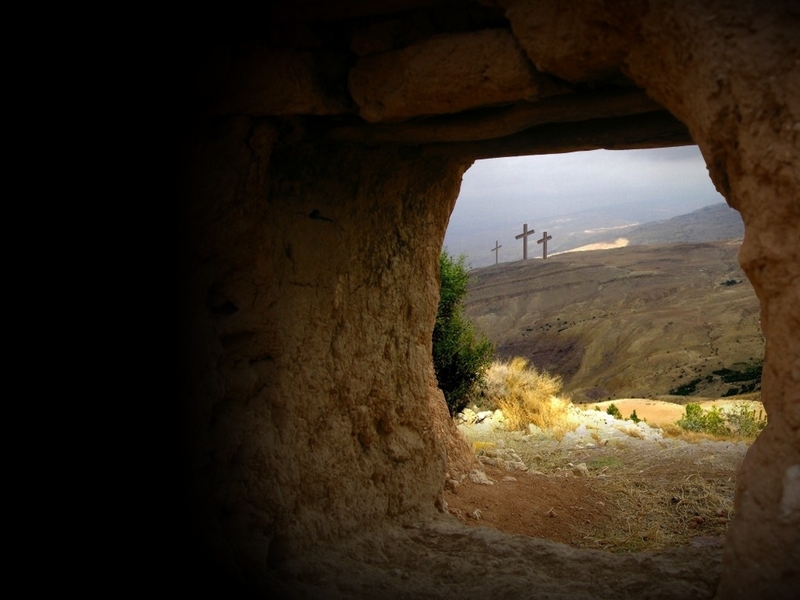 I heard the story of Jesus weeping over the death of Lazarus, a death he could have prevented but instead chose to undo, and how Lazarus walked out of the tomb when Jesus called his name, still bound in his grave clothes. 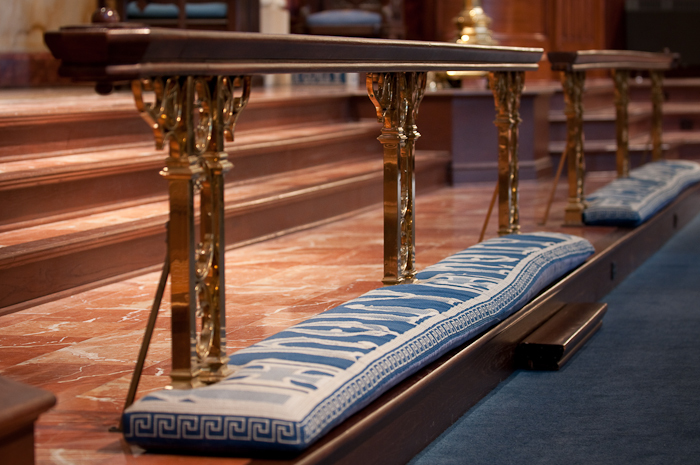 And as I sat in the choir loft, one final time, I thought about the dry bones and the garments of death. I wondered if I reeked to the high heavens of death like Lazarus, if my bones and body were without the breath of life. I wondered if, in saying good-bye to my two jobs in the span of four days, I was surrounded by the stench of death, and I wondered if anyone else could smell it on me. Despite the financial hardships which accompany working two part-time jobs with no benefits, ties are made. Routines are established. A sense of normalcy, including the panic which comes at the end of each month when bills need paying and the numbers aren’t adding up, brings with it an odd sense of comfort. Now that I am entering a full-time position, with a salary and benefits (health insurance! retirement! paid time off! ), I am able to move into a new life, something I always imagined but never thought would come to fruition: stability. On Thursday, I had to leave a friend who gave me a job fresh out of seminary, someone I bonded with after I gave his wife a meal before she entered an operation to remove her breast cancer, someone with whom I had weathered the early struggles of his first pastoral job out of seminary. On Sunday, it was difficult to listen to the prayers of a friend who shares my Doctor Who obsession, and to bid farewell to the teens I had mentored, . I never realized how hard it would be to print and fold my final bulletins and turn off my office computer for the last time. I didn’t think I’d struggle not to tear up when one of my students handed me an orchid in front of my congregation as I said farewell to my congregation. When I accepted these jobs, I knew they weren’t permanent positions. I knew they were stepping stones to other opportunities. But I didn’t know they would become so close to my heart. In youth group, I remember my youth pastors teaching us to set physical and emotional boundaries with romantic partners, because they told us too much physical intimacy could make unmarried people “too close” and result in more heartache when the relationship ended. I wish they’d told me this kind of extra heartbreak isn’t limited to the physical and the romantic. I wish they’d told me about the pain you experience when you receive the broken body of Christ from your pastor’s hand and wonder if it’s the last time it will ever happen. I wish they’d told me how much a simple touch of my hair when receiving the blood of Christ from a dear choir member would undo me. I wish they’d told me how heart-wrenching it is to have to pull up your roots from the place you’ve called home for so long and plant them elsewhere. I wish they’d told me less about setting up boundaries and more about how to love as fiercely as God loves us, even and especially when those upheavals happen. If we are to live as God’s children, as people who want to connect more with God, we will touch the souls of the people around us in deep and profound ways, and they will touch the depths of our hearts, too. They will leave their marks and imprints, and the scars will remind us of their presence forever. You can’t avoid it. To avoid it is to be the dry bones in the dessert, to be bound by the grave clothes and reeking of death. I don’t reek of death. I reek of love. Beautiful, deep, painful love. That love is why I chose to sit with the pain of these losses, to insist that they mean something to me, and their losses demand to be felt and honored. So I sang our final hymn, “The Bread of Life,” for the last time. For the last time, I hung up my choir robe. I gave out final hugs as I ate snacks from my final coffee hour. For the first and last time, I went to the house of my choir director and her daughter, a member of my Sunday School class, and made my farewells over plates of ravioli. I said good-bye to the congregation which housed me. Now, I can say hello to the next home which has found me. Let me begin this entry of my Lenten reading series by claiming my own privileges and biases: I am a white female coming to terms with my own complicity in an unjust system which values people like me above black Americans. As such, I am writing these reflections for people who want to become more aware of the injustices in our nation, who want to be good allies, and are doing what they can to nudge those in power and privilege into solidarity and action with the oppressed and marginalized. To many publishers, and even author Thomas herself, it was “too black” to be profitable. 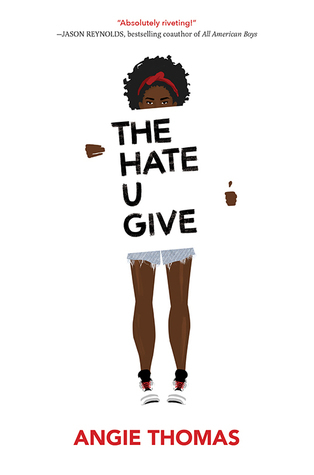 But thanks to efforts promoting more diverse publishing, and a strong national need to confront racial tensions, “The Hate U Give” is here, and it’s been on the New York Times bestseller list for four weeks. It’s the story of a young woman, Starr, who by age 16 has already witnessed the death of two of her friends, one at age 10 from a drive-by, and again at the novel’s beginning by a police officer. It’s about how the media depicts black victims and police officers in different ways, how witnesses are questioned, and how juries and communities alike respond. It’s a story of Starr struggling to find her true voice after years of code switching between her “ghetto” neighborhood and upper-class, predominantly white private school. It’s her struggle to be her true self, not her “too black” or “too white” self, around everyone. 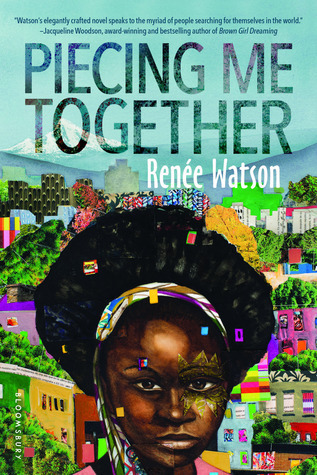 It’s brutal in its honesty about the grief, anger, and hope the black community experiences when young lives are snatched away in their prime, as well as the grey areas of how to best support a struggling neighborhood while caring for the safety of a family. It shows the amazing, strong marriage of a black man and black woman, and the navigation of an adorable teenage interracial relationship. Anyone looking for OTPs will find them aplenty in this novel. It shows the strengthening of old friendships and familial relationships, the strains of being friends with people who refuse to acknowledge their own racism and biases, and the power of repentance and forgiveness. It’s simply an amazing book, and I recommend it to anyone who has questions about the Black Lives Matter movement and its legitimacy, the issues black Americans continue to face, the difficult topic of police brutality, and lovers of 90s rap and hip-hop and retro sneakers! What started out as a step in one woman’s grieving process developed into a story I hope may pour love into the black community while alerting the white community of the consequences of our unacknowledged and damaging behavior. I pray it will be a wake up call to repentance and solidarity, that we may undo the hate we’ve given so less people will be messed up in the future. Please click here to read the Teen Vogue interview with author Angie Thomas!